One of the best kept wonders in the land of the sun. 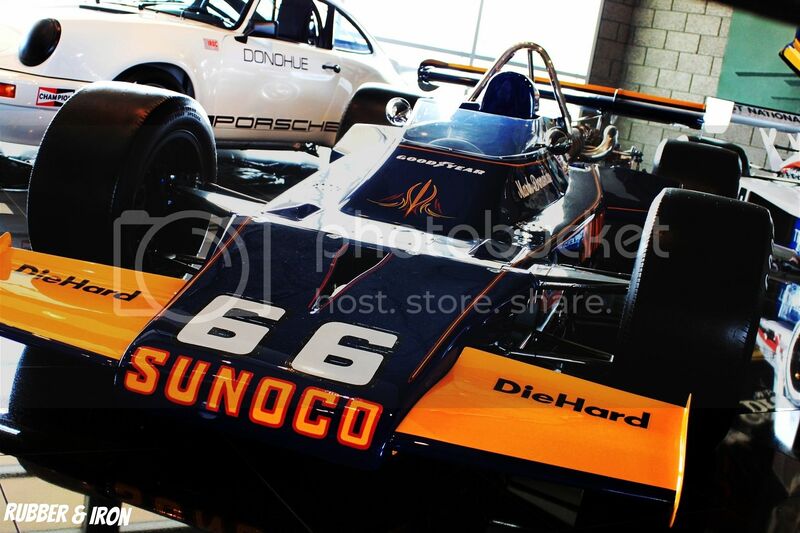 Penske's Racing Museum is full of rich racing pedigree in Scottsdale Arizona. 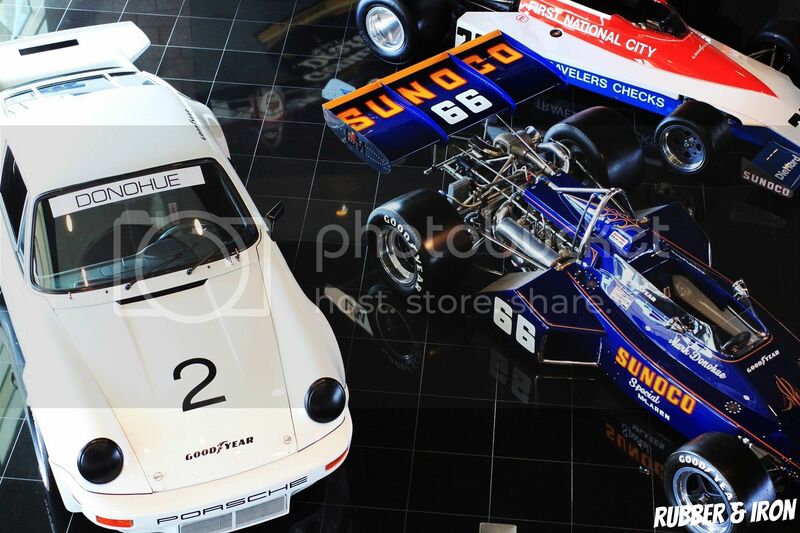 Yes, the Penske Museum, probably the best kept secret in the racing world, a small yet historically significant collection of some of Roger Penske’s finest racers and more! 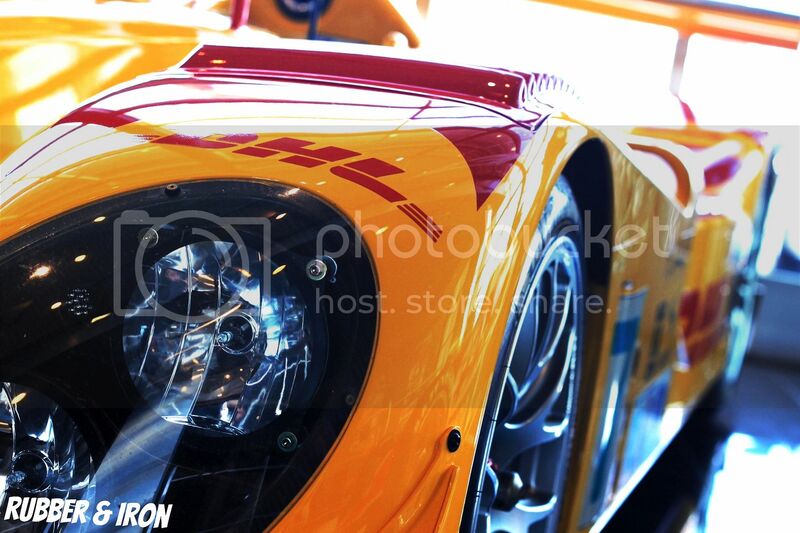 In the US racing scene, there has been no more dominant team than that run by “The Captain” Roger Penske. From the cut throat competition of the SCCA Can-Am and Trans-Am championships to the glitz and glamour of Formula One and Sebring, to the American staples of Indianapolis and NASCAR, if it has wheels and makes tons of power Roger Penske has raced in it. 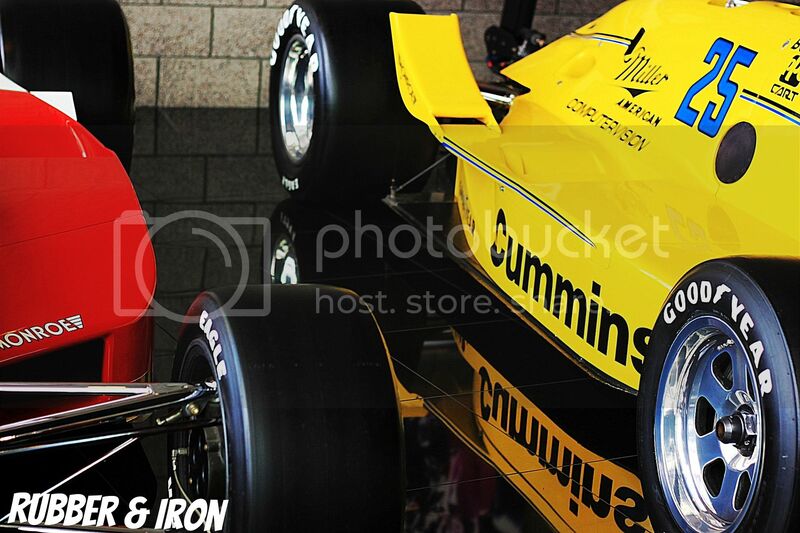 While most of the collection centers around Penske’s Indianapolis exploits (I mean, he’s only won the 500 FIFTEEN TIMES!) The collection also highlights Penske’s diverse racing history as well. 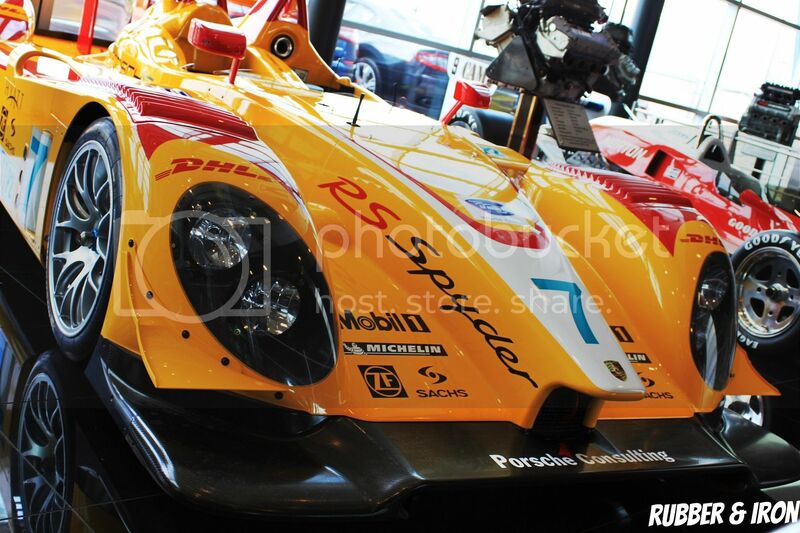 Here we find the Porsche RS Spyder that Timo Bernhard, Romain Dumas and Emmanual Collard wheeled to an overall victory at the 12 Hours of Sebring in 2008. 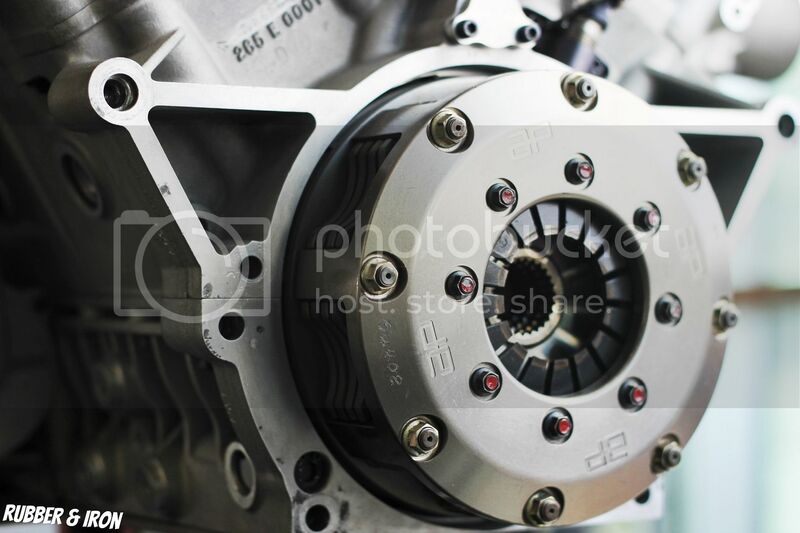 Adding to the significance of the victory was the fact that Penske and Porsche were racing in the 2nd tier LMP2 class for cars with engine displacements less than 3.4 liters. Even more significant was the fact that not only did Penske win, but they also beat factory backed efforts from Audi, Peugeot in their all-conquering turbo-diesels (Both the Audi R10 and the Peugeot 908 had 5.5 liter turbocharged V12s) and an armada of Acura LMP2 racers from various teams in what was one of the most competitive Sebrings in history. 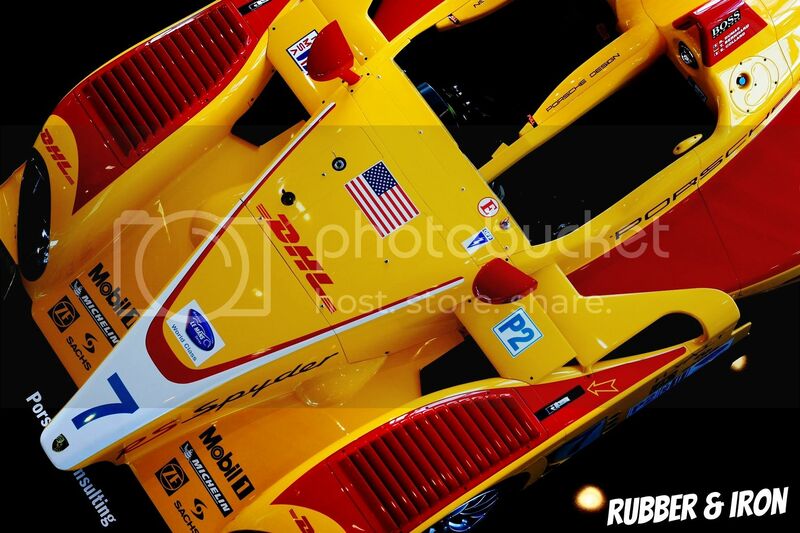 Penske and Porsche would go on to win many more races that season en route to the 2008 ALMS LMP2 championship, both for teams and drivers, but at season’s end Penske pulled out of American Le Mans competition and as of this writing has yet to return to sportscar racing. 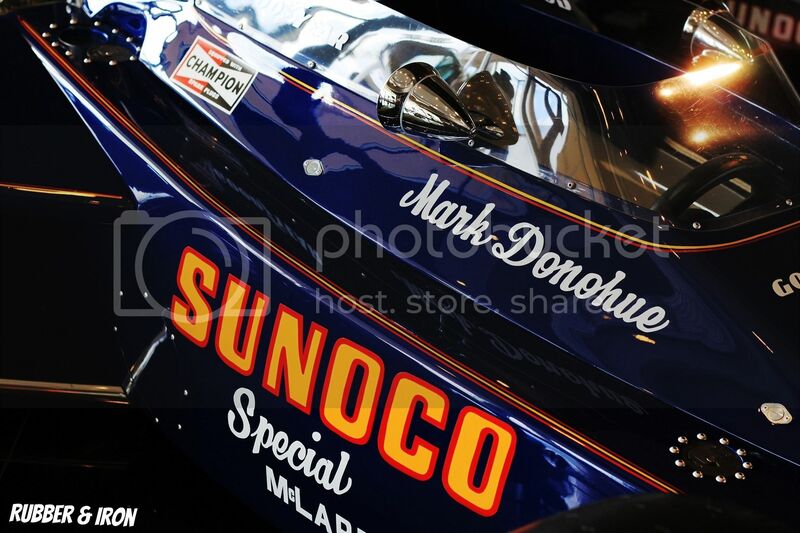 In another corner of the museum, we find a tribute to one of Roger Penske’s favorite drivers and arguably one of the best drivers to come from this side of the Atlantic, Mark Donohue. 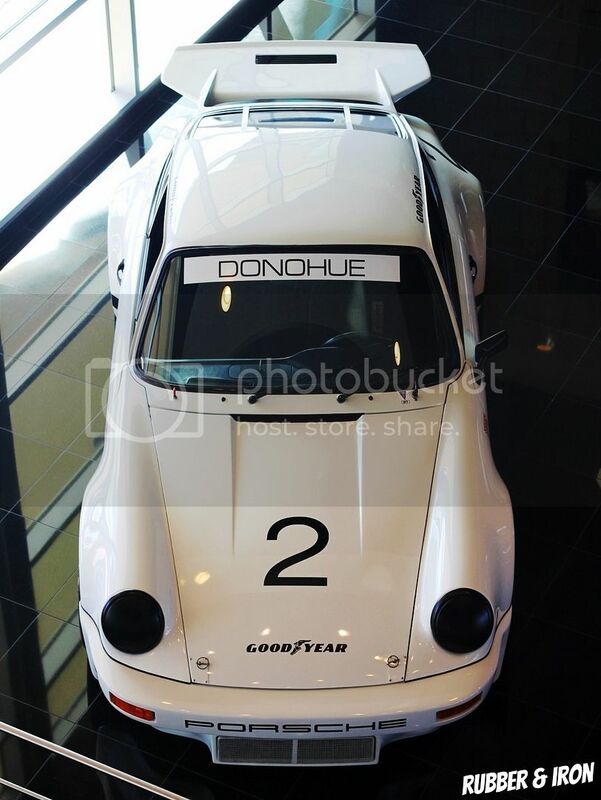 Donohue drove a variety of machinery for “The Captain,” from Camaros and Javelins in the Trans Am, Indianapolis cars such as the Sunoco McLaren we see above, to the 1500 horsepower, 5.4 liter twin-turbo flat-12 powered Porsche 917/30 that obliterated the competition during the 1973 Can-Am season and finally Penske’s first foray into Formula One with the PC-1 Cosworth. 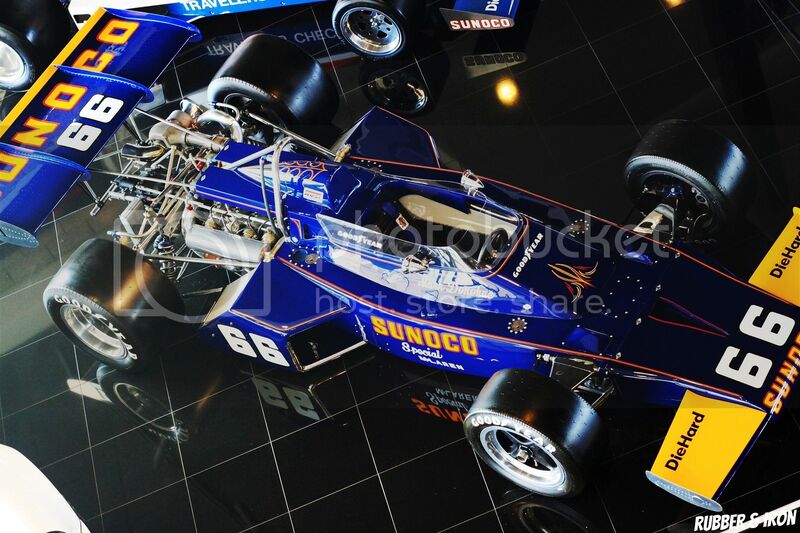 The car we see above is the McLaren M16B Donohue raced during the 1972 USAC Championship and in this spec (although not this specific car) won the 1972 Indianapolis 500, Penske’s first victory at the Brickyard. 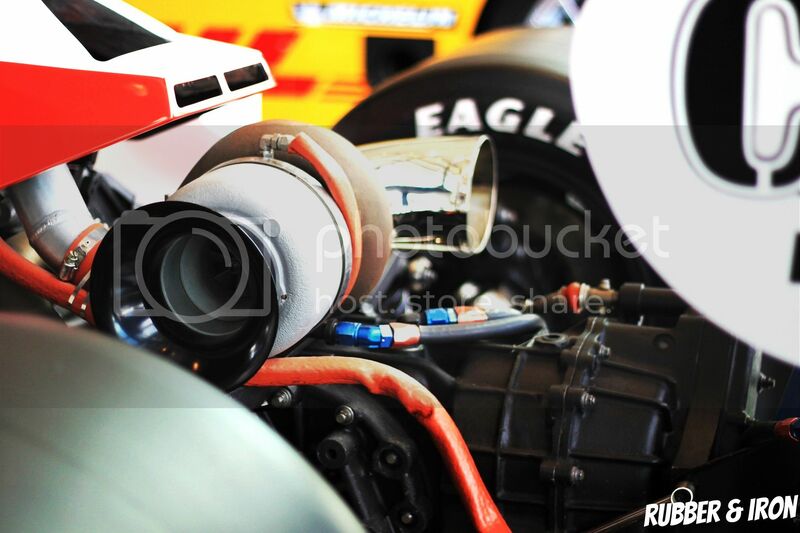 Pushing Donohue and Penske to victory was this Drake-Offenhouser engine (Offy for short). 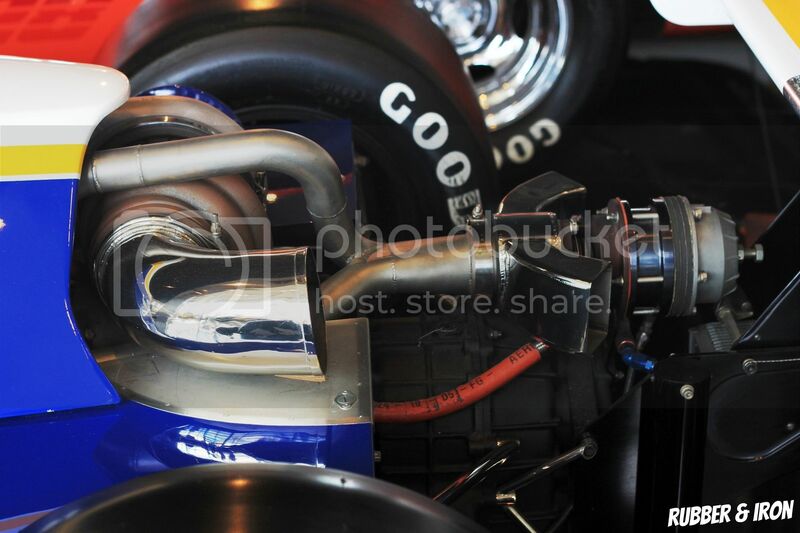 This 2.65 liter turbocharged 4-banger was the engine to have in Indy racing during the 1970s and by 1973 was producing 1,100 horsepower before a boost-limiting pop-off valve was mandated by USAC (the sanctioning body of Indy Car racing at the time) limiting the engine’s power to around 700 horsepower. Donohue would retire from Indy Car racing at the end of 1973, but that didn’t mean the end to his racing career. 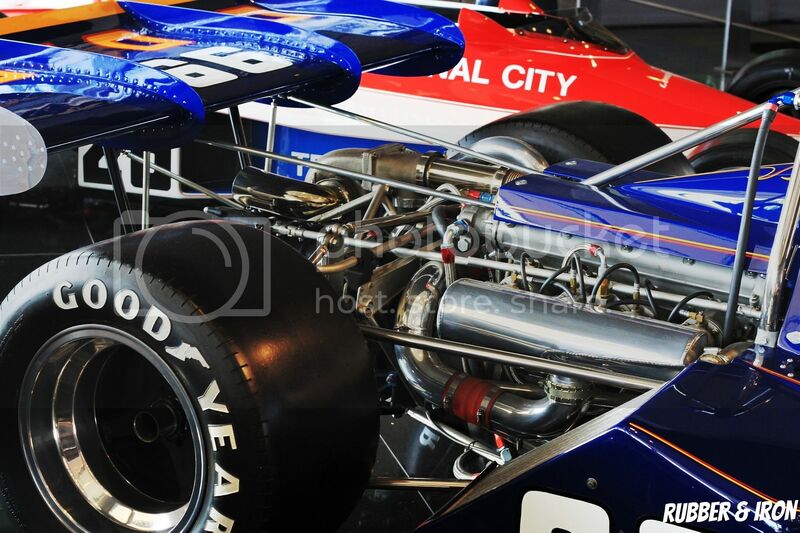 Penske and Donohue switched their focus to Formula One, entering with a new car, the PC-1 built in England and powered by the standard 3.0 liter Ford Cosworth DFV that powered most F1 cars during that era. Despite a couple of points paying finishes (only the top 6 scored points back then) the team and Donohue struggled to get to grips with the car and later in the 1975 season they switched to a March Chassis to see if that would turn their luck around, unfortunately it didn’t. 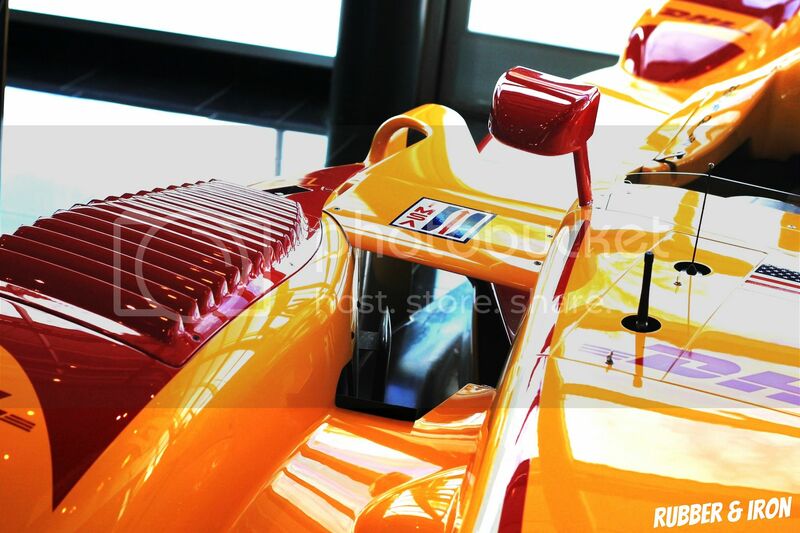 While practicing for the Austrian Grand Prix at the fast, flowing and dangerous Österreichring, Donohue’s car suffered a tire failure and careened into the barrier and killing a corner worker. Initially it appeared that Donohue was uninjured but he complained of a headache resulting from his helmet hitting either the catch-fencing or a trackside advertisement. Soon the headache worsened to the point that he slipped into a coma, as that headache was actually a cerebral hemorrhage and on August 19, 1975, motorsports lost one of its greats. 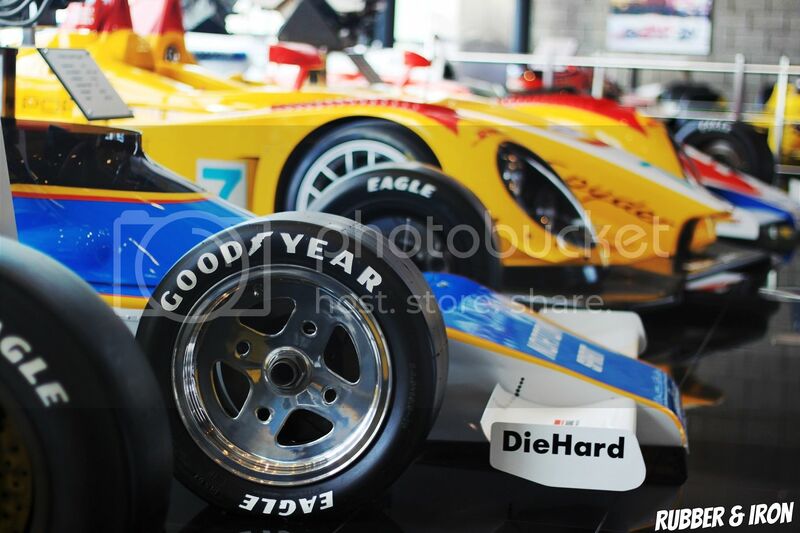 While Team Penske has raced, and won, in a myriad of series, the place where his name was made is Indianapolis, and most of the Penske Museum is dedicated to his successes at the Speedway. 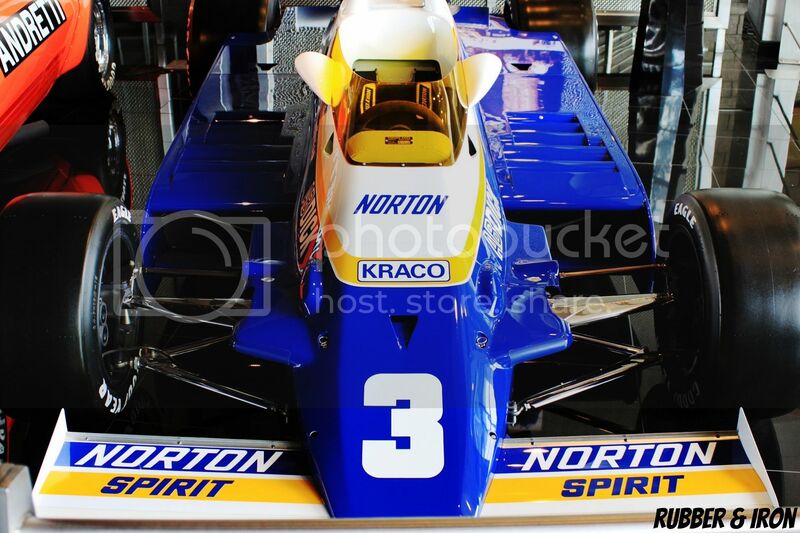 Some of the most famous cars to race in Indianapolis are housed in this museum, from the car that Tom Sneva used to lap the first 200mph lap at Indy in 1977, to Rick Mear’s winning 1979 car, Danny Sullivan’s “Spin and Win” car from 1985, and more recent cars that Gil de Ferran, Sam Hornish, Jr. and Helio Castroneves have used to dominate Indianapolis in the 2000’s, plus everything in-between. 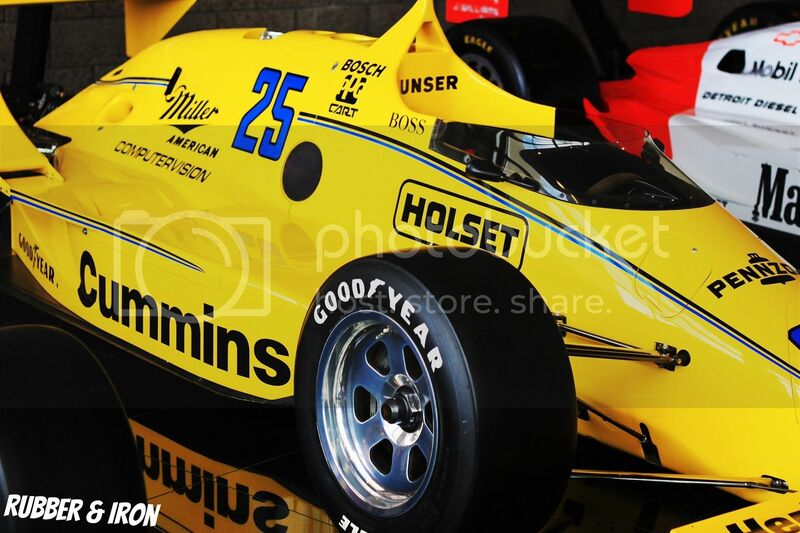 One of the more interesting Indy Cars housed at the museum is this here car a March-Cosworth raced by Al Unser. Originally this car was going to be raced in the 1987 Indy 500 by Hawaiian Danny Ongias, but after a practice crash Ongias suffered a concussion and was unfit to drive for the 500. Needing a new car, Penske brought out a year old March Chassis which before this was being used as a display car in a hotel in Pennsylvania. Now all Penske needed was a driver. Luckily enough, 3 time winner Al Unser, Sr. was without a ride so Penske signed him on and despite starting 20th, Unser worked his way through the field to win his fourth and final Indianapolis 500 at the age of 47. Given the fact that the winning car was in a hotel lobby at the beginning of the month and the fact that Unser was unemployed at the start of practice, this win by Unser and Penske is considered one of the biggest upsets in the history of the 500. What makes the Penske Museum great is that it’s not just about the cars as Penske has various engines on display from their high tech. 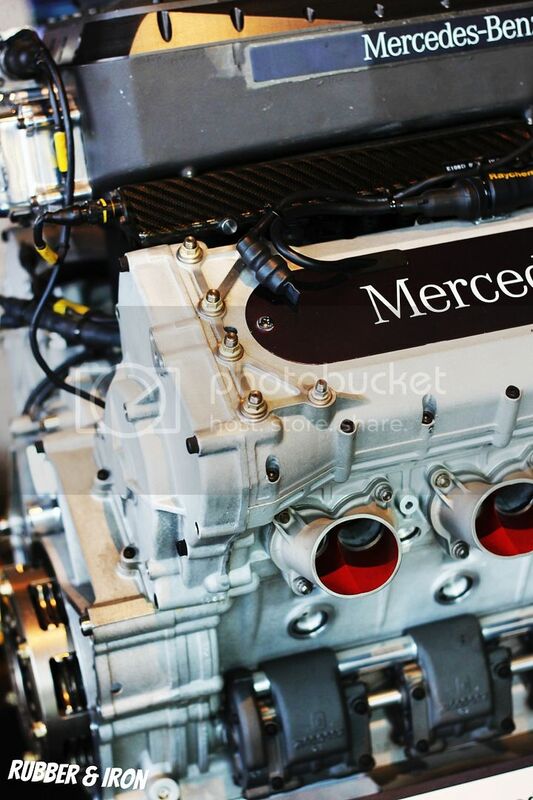 turbocharged Indy Car engines, to the primitive NASCAR V-8 and controversial Mercedes pushrod engine that Penske used to obliterate the competition in the 1994 Indy 500. Upstairs from the cars there are also scale models of most of the cars, helmets, various trophies (most of them worth more than most people’s lives so don’t touch!) and also a gift shop and café. 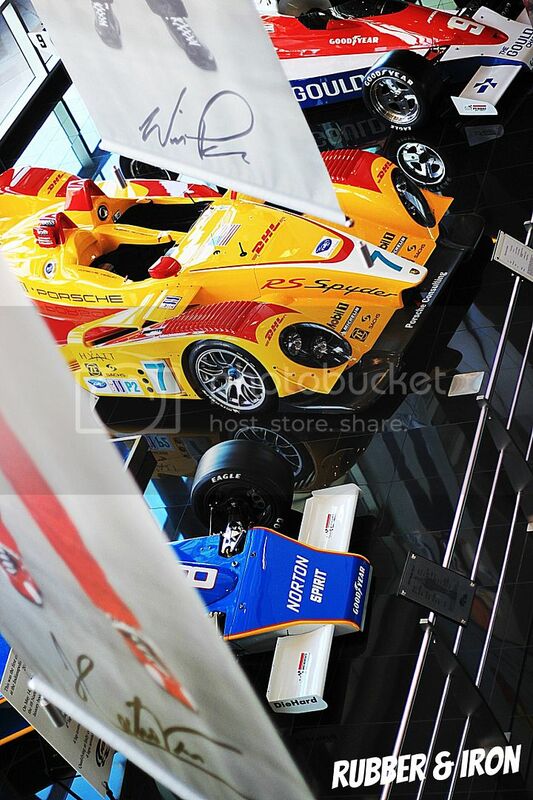 So next time you happen to be in the Scottsdale area stop by the Penske museum. Admission is the price of air (FREE) and if you ever get bored the museum is located in a complex that includes dealerships from Porsche, Audi, BMW, Lamborghini, Bentley, etc. 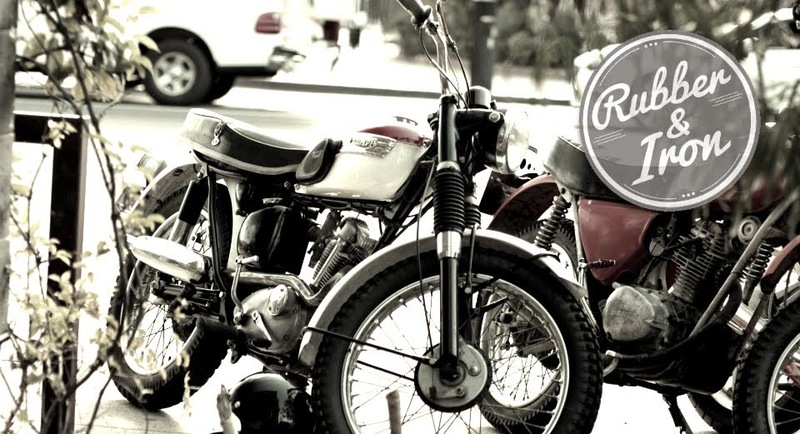 , a gear head nirvana to say the least.